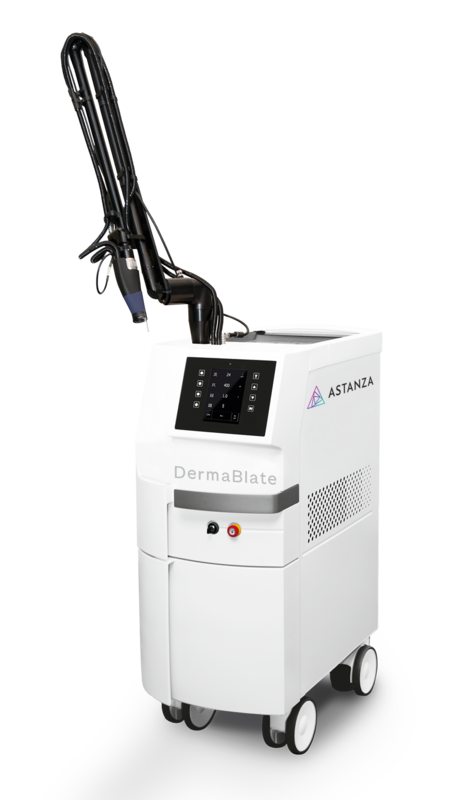 During the webinar, we discussed how the Astanza DermaBlate has earned the title, "The Most Powerful, Versatile, and Controllable Erbium Laser in the World." The DermaBlate has become the top-selling Erbium:YAG laser in the world over the past 20 years, and has consistently demonstrated how it outperforms CO2 lasers when completing skin resurfacing and ablative / non-ablative treatments. Homogenous Beam Profile - consistently provides safe and precise treatments, without hotspots or uneven delivery. Tunable Footswitch & Adjustable Pulse Length - improves the practitioner's efficiency by adjusting pulse length with their foot to perform various treatments. Smoke Evacuation System (SES) - patented safety system built into the device and accessed through the footswitch, featuring noise-reducing technology. Using innovative technology, the DermaBlate improves the treatment experience for both patients and practitioners. Advanced features like noise-reducing technology, homogenous beam profile, and a patented Smoke Evacuation System prioritize the patient's safety and comfort. The tunable footswitch and adjustable pulse length were designed to help practitioners maintain a steady workflow and treat their skin resurfacing patients as effectively and efficiently as possible. During this webinar, viewers will learn more about how the DermaBlate has earned its reputation as the top Erbium YAG laser on the market as well as view real before and after photos and treatment videos. To read more on the Astanza DermaBlate, visit the Astanza DermaBlate product page and this blog presenting a top to bottom look at this leading skin resurfacing device. Click below to access the exclusive webinar!